The national Progressive Education Network conference takes place in a different city every two years and is a diverse gathering of educators from around the country. Join us in the Twin Cities for the 2019 Progressive Education Network Conference, Surrounded by abundant lakes, ponds and wetlands and by the shore of the Mississippi River, we will re-imagine progressive education for the 21st Century. 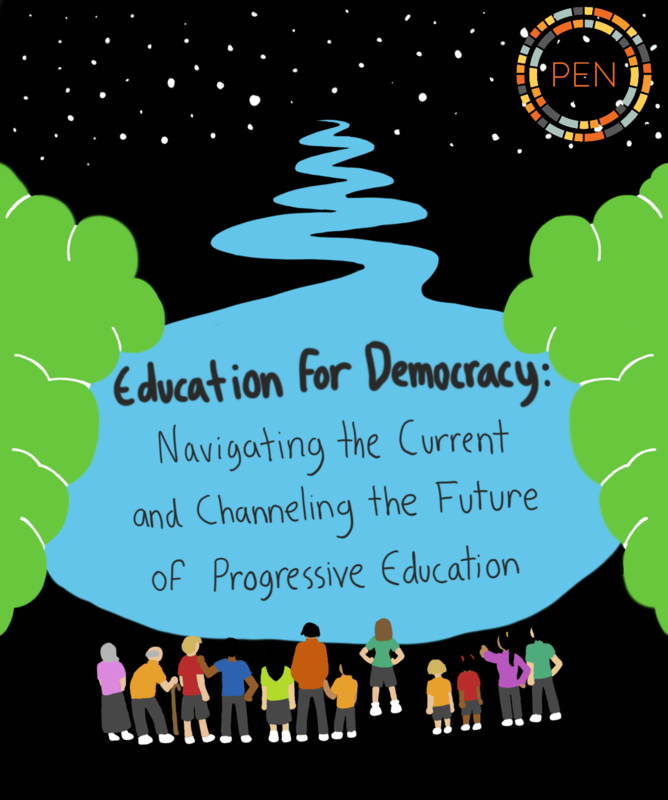 The PEN 2019 planning committee is looking for passionate educators who are ready to engage with colleagues from all around the country to introduce, renew, affirm and create progressive practices – creating a mighty current that will transform education. We are looking forward to hands-on, energizing, thought provoking, inspiring workshops, roundtables and place-based experiences for the participants and educators converging in this wonderful natural setting in Minneapolis, Minnesota in October 2019. While we honor the historical sources of progressive philosophy, we want this conference to be a space that co- constructs, elevates and embraces new narratives, reflective of “respectfully collaborative and critical relationships between students, educators, parents/guardians, and the community.” What presentations or learning can you share that will enrich the confluence of respect, learning and growing? 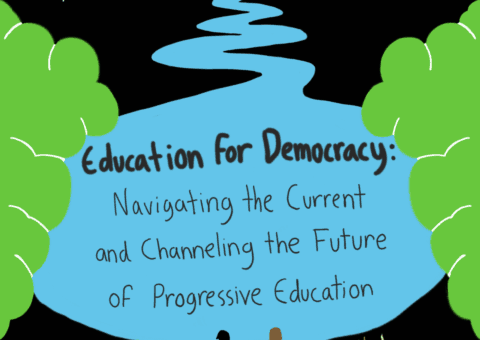 Share your thoughts, ideas, practices and questions with other conference attendees as part of your continued growth as an educator, exploring the conference theme of Educating for Democracy: Navigating the Current and Channeling the Future of Progressive Education. Rising To the Surface: What are the philosophies, traditions, practices and stories that have not been centered that we must engage with now? Which Progressive Education stories need to be told today and to broader constituencies? Navigating the Current: What is in the waters of progressive practice right now? What historical or contemporary struggles make it difficult to navigate or implement progressive practices in a variety of educational institutions? What promising new streams of thought might buoy progressive education that we have not yet fully explored? Channeling the Future: What does the future of progressive education look like? What are the stakes? How do we apply this work to our classrooms and in larger communities? How do we chart new courses in ways that are collaborative, empowering, and inclusive? Thank you for your conference program proposals! Registration for PEN 2019 is LIVE! 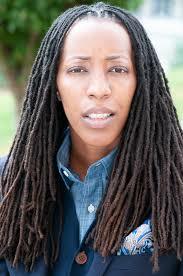 Andrea Jenkins is a writer, performance artist, poet, and transgender activist. 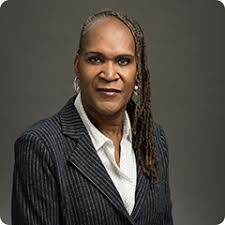 She is the first African American openly trans woman to be elected to office in the United States. Jenkins has experience working in community development in North Minneapolis, and in delivering social services in South Minneapolis. Jenkins currently serves as the Minneapolis City Council Vice President. Jenkins moved to Minnesota to attend the University of Minnesota in 1979 and was hired by the Hennepin County government, where she worked for a decade. Jenkins worked as a staff member on the Minneapolis City Council for 12 years before beginning work as curator of the Transgender Oral History Project at the University of Minnesota’s Jean-Nickolaus Tretter Collection in Gay, Lesbian, Bisexual and Transgender Studies. Learn more about Andrea Jenkins here. 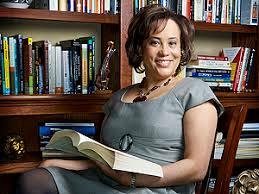 Professor Duchess Harris was a Mellon Mays Fellow at the University of Pennsylvania. She graduated in 1991 with a degree in American History. Six years later, she earned a Ph.D. in American Studies from the University of Minnesota. She did a postdoctoral fellowship at the Womanist Studies Consortium at the University of Georgia. In 1998, Professor Duchess Harris joined the faculty at Macalester College. She became the first Chair of the American Studies Department in 2003 and was granted tenure in 2004. In 2007 she decided that attending law school would allow her to expand the scope of her scholarship even further. 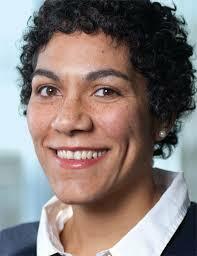 She earned a Juris Doctorate in January 2011, and has an expertise in Civil Rights Law. In 2015, The Minnesota Association of Black Lawyers chose her to receive “The Profiles in Courage Award.” She is currently a member of Governor Mark Dayton’s Board of Public Defense. She is also the proud curator of the Duchess Harris Collection, which has more than 40 books written for 3-12 graders. Professor Harris is a scholar of Contemporary African American History and Political Theory. Her academic books include, Racially Writing the Republic: Racists, Race Rebels, and Transformations of American Identity, (2009), and Black Feminist Politics from Kennedy to Trump, which will be released, fall 2018. Paul is the founder of the Equity Literacy Institute and EdChange. He has 20 years of experience helping educators strengthen their equity efforts in classrooms, schools, and districts. He has worked with educators in 48 states and a dozen countries. Paul has published more than 70 articles and has written, co-written, or co-edited twelve books on various aspects of educational equity including Reaching and Teaching Students in Poverty: Strategies for Erasing the Opportunity Gap and Case Studies on Diversity and Social Justice Education(with Seema Pothini). He is the author of the Multicultural Pavilion, an online compendium of free resources for educators. 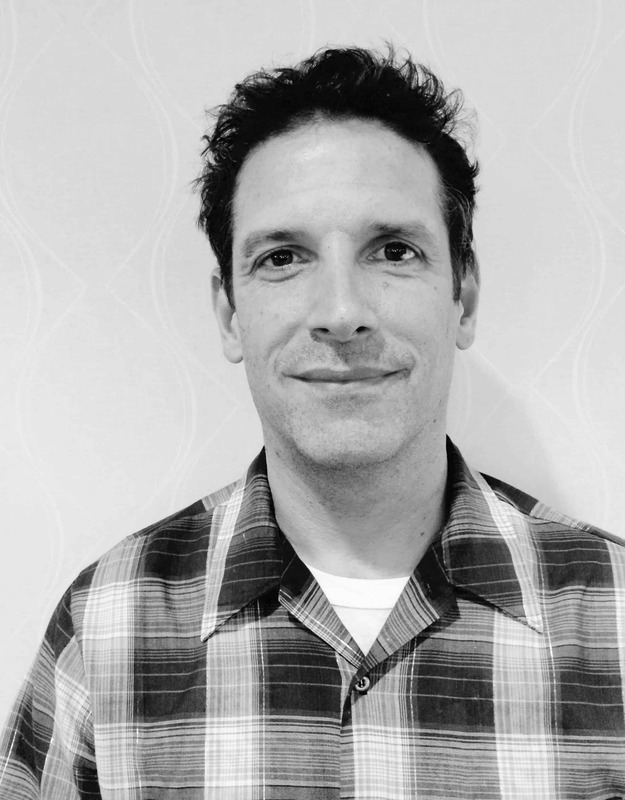 Paul earned a PhD in Educational Evaluation at the University of Virginia. He was a teacher educator at several universities for 15 years. He is also a published poet, a black belt in Tae Kwon Do, and the biggest fan of Buster, his cat. Dr. Bettina L. Love is an award-winning author and Associate Professor of Educational Theory & Practice at the University of Georgia. She is one of the field’s most esteemed educational researchers. She is the author of the books We Want To Do More Than Survive: Abolitionist Teaching and the Pursuit of Educational Freedom and Hip Hop’s Li’l Sistas Speak: Negotiating Hip Hop Identities and Politics in the New South. 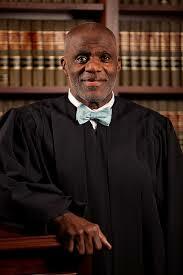 Justice Alan Page gained national recognition as a defensive tackle in the NFL during 15 seasons with theMinnesota Vikings and the Chicago Bears, and then embarked on a legal career. Page earned a B.A in political science from the University of Notre Dame in 1967 and a J.D. from the University of Minnesota Law School in 1978. He served as an associate justice of the Minnesota Supreme Court from 1993 until he reached the court’s mandatory retirement age of 70 in 2015. Page was the first defensive player to win the MVP Award and only Lawrence Taylor has done it since. He is a member of both the College Football Hall of Fame (1993) and the Pro Football Hall of Fame (1988), and is considered one of the greatest defensive linemen ever to play the game. Page has written several children’s books with his daughter Kamie. Click here to read an article about Justice Page’s writing projects with his daughter, Kamie Page. Author and educator Kamie Page has written several children’s books with her dad, Justice Alan Page. Conference events will take place at the University of Minnesota Twin Cities, Minneapolis. Click on the PEN icons within the map for location details about conference events and hotels with special rates. PEN 2019 is being held on and around the University of Minnesota Twin Cities Minneapolis campus. Campus is served by multiple Metro Transit bus lines, the Green Line Train, and hosts Nice Ride bike rental kiosks. Both Uber and Lyft operate in the Twin Cities as well as conventional taxi cabs. Campus and the conference hotels are 15-20 minutes from Minneapolis St. Paul Airport, and a 30 minute drive or Green line ride from the Amtrak station (Union Station) in downtown St. Paul. The Twin Cities are home to wonderful outdoor recreation opportunities, dining, sports and arts attractions. PEN has reserved blocks of rooms at a conference discount rate at The Graduate Minneapolis Hotel, which is located within steps of our main conference venues. A second block of rooms is available at reduced rates at Renaissance Minneapolis Hotel, The Depot, a short bus or car ride from our conference locations. Hotel registration deadline for the Graduate: Sept. 2. Call and press 1 for reservations, and ask for the “Progressive Education Network PEN”, or register online with the PEN discount. Search for Airbnb lodging options for your stay. Site visits: 8 a.m. to 3 p.m.